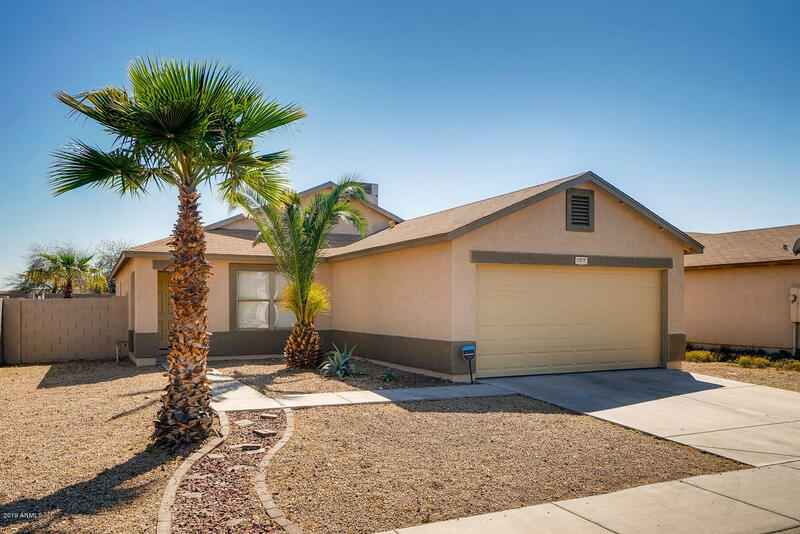 All El Mirage homes currently listed for sale in El Mirage as of 04/22/2019 are shown below. You can change the search criteria at any time by pressing the 'Change Search' button below. 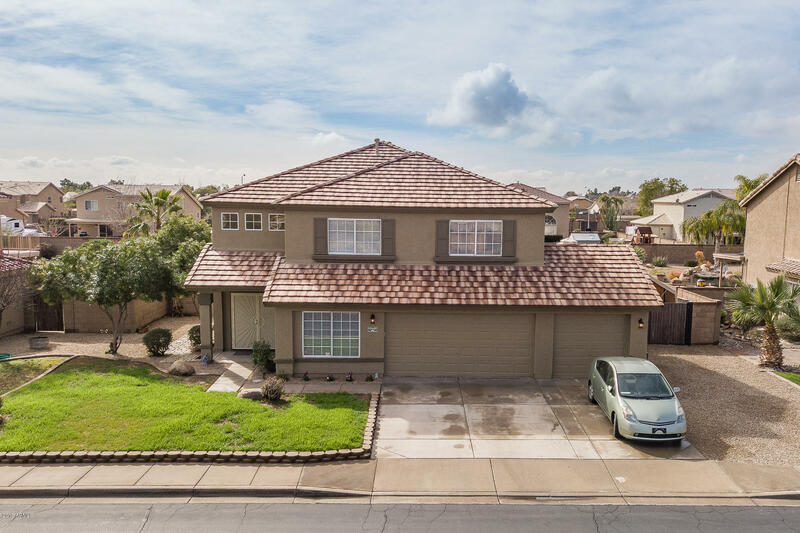 "Nestled on just over an acre of land, this remarkable home offers excellent curb appeal, an 2 RV gates, a detached 3 car garage and large slab for additional parking or for your basketball court. Enter in to over 3700 square feet with 5 spacious bedrooms, with a den, elegant tile floors and plush carpeting. End your days relaxing by your stone fireplace in the living room/ dining room combo. The eat-in kitchen is complete with granite counters, custom cabinetry, stainless steel appliances and a "
"WOW!!! This property is FANTASTIC and it has it all!!!! TONS OF OPTIONS HERE!2.4 ACRES ~ NO HOA ~ HORSE PROPERTY ~ FULL BASEMENT ~ The home's main level has 6 bedrooms and 4 bathrooms, this includes 2 master suites! Open concept kitchen, separate formal dining room and very spacious living room.The basement area has a very large loft/family room, bathroom, and an additional bedroom! The yard is where your options become limitless! 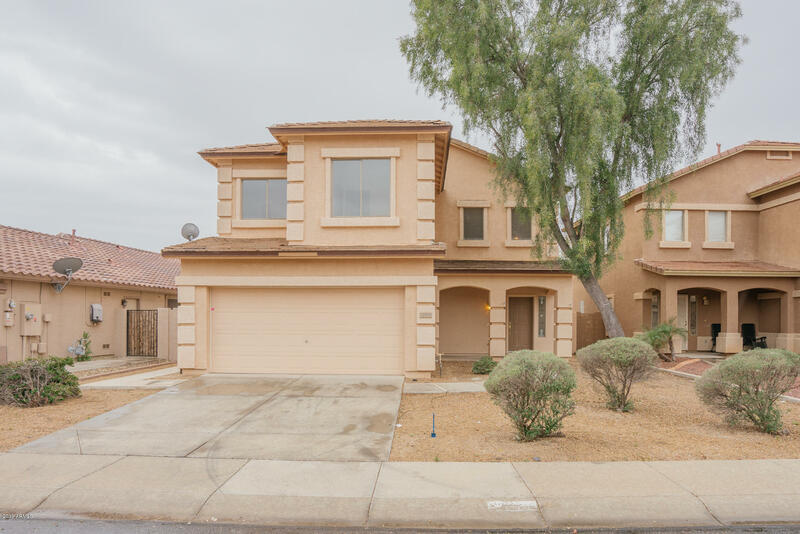 Starting with the extended patio, tons of fruits trees, beautif"
"Beautiful 4 bedroom, 2 1/2 bath home with 2,635 sq ft at the end of cul-de-sac in Grande Mirage subdivision. Perfect for entertaining with amazing backyard with huge covered patio with fans to keep you cool, beautiful pebble tech pool, & play ground. The front & back yard are fully landscaped with mature trees & automatic watering system. Kitchen features newer stainless steel kitchen aid appliances, huge walk-in pantry, & gas cook top. 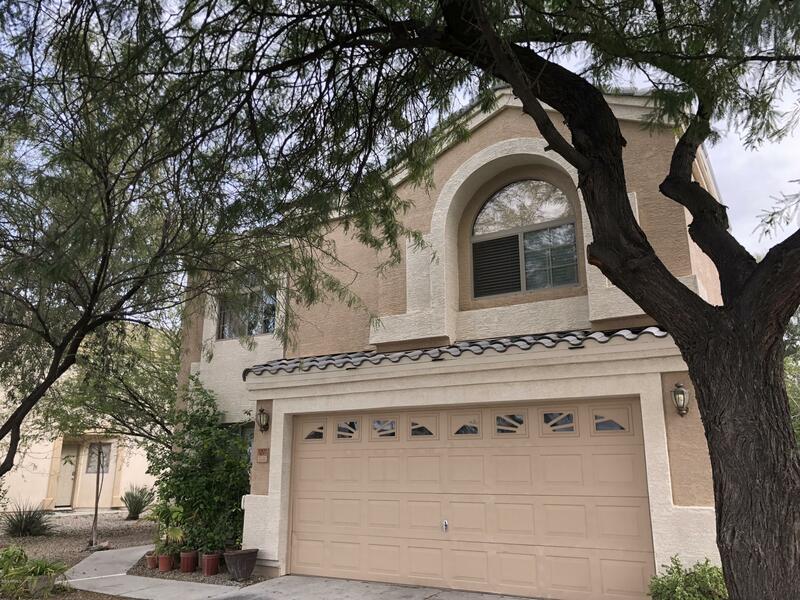 Gorgeous home with a family room, loft, huge laundry room w"
"Beautiful 4 bed/2.5 bath home, 2481 sq ft. Tile floors downstairs & carpet upstairs. Kitchen w/island and new range. Remodeled half bath. Fireplace in living room. Windows w/sunscreens. Spacious backyard features a diving pool w/baja step & waterfall, built in fireplace and BBQ, patio and grass area. Over +.25 acre corner lot in a cul-de-sac. Attached 3 car garage, 2.5 detached shop w/epoxy coated floor, attic, swap cooler & heat/AC. Garages have 220 power. New RV gate, paved parking to shop." 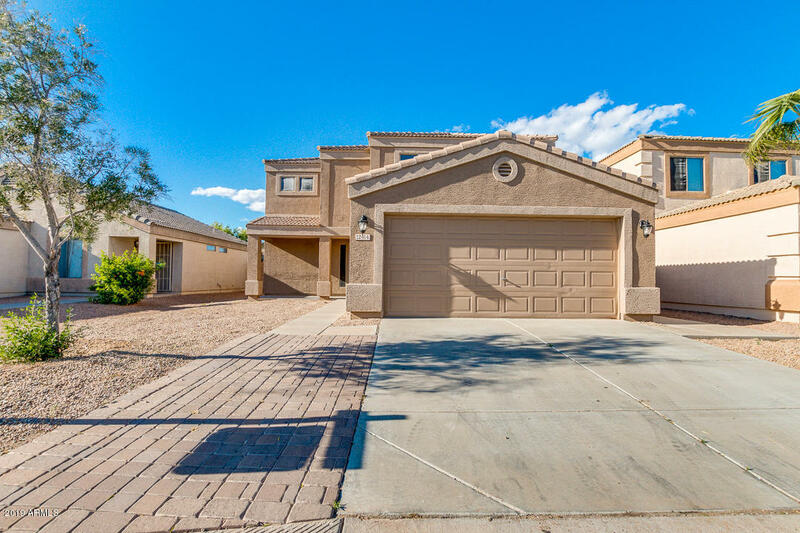 "Absolutely stunning 4 bed + open den, 2.5 baths home w/ an entertainer's dream backyard with large pool & outdoor kitchen! This spacious 2,645 sqft floor plan features a formal living room w/ gas fireplace & vaulted ceilings, formal dining room, & bright family room with a second gas fireplace w/ unique mantle w/ recessed lighting. The kitchen features 36'' cabinetry, granite counters & tasteful backsplash, stainless appliances including an electric range and multiple ovens, and large kitchen "
"Pride of ownership! Owner has meticulously maintained and updated this stunning single level home into a 5 bedroom, 3 bath, featuring over 2500 sq. 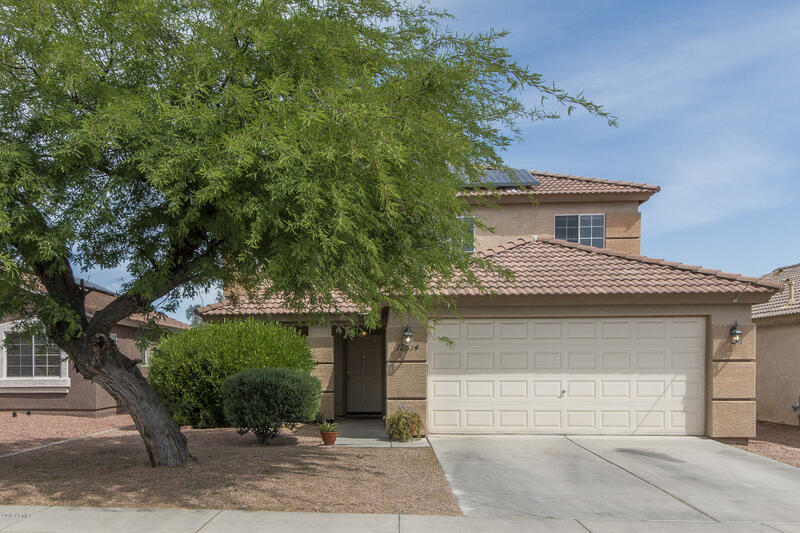 ft. Great split floor plan boasts a beautiful open and spacious kitchen featuring quartz countertops, cabinetry with underside lighting, an oversized kitchen island, and upgraded LG stainless steel appliances. Master bedroom is generously sized with a full ensuite bathroom that includes double sinks, walk-in shower and soak tub. Professionally lan"
"SUPER SIZED 4 bedroom, 3 full bath home with loft AND office. 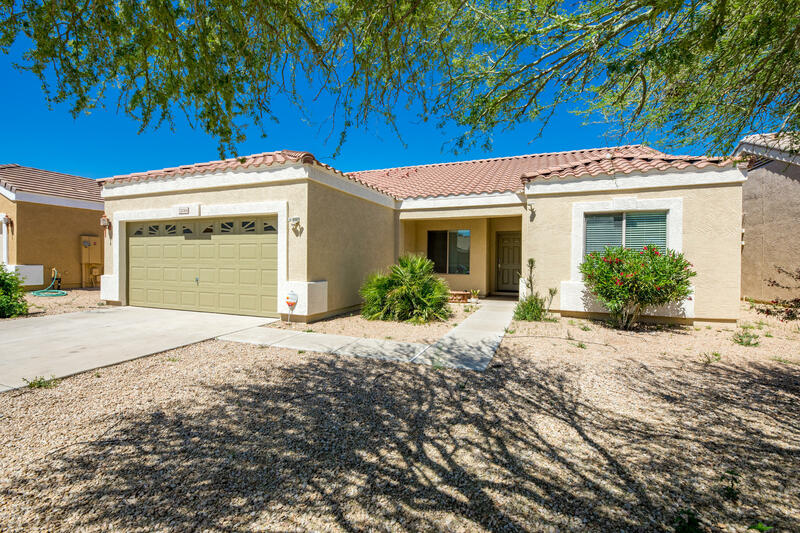 Vaulted ceilings and high picture windows throughout allow for plenty of natural light. Master suite features dual vanities and separate garden tub and shower, with ample walk in closet. Open concept kitchen and dining room flow into the family room. Lots of room to spread out and make your home. Home is a half-mile walk from Bill Gentry Park and less than one mile from a Walmart Supercenter. 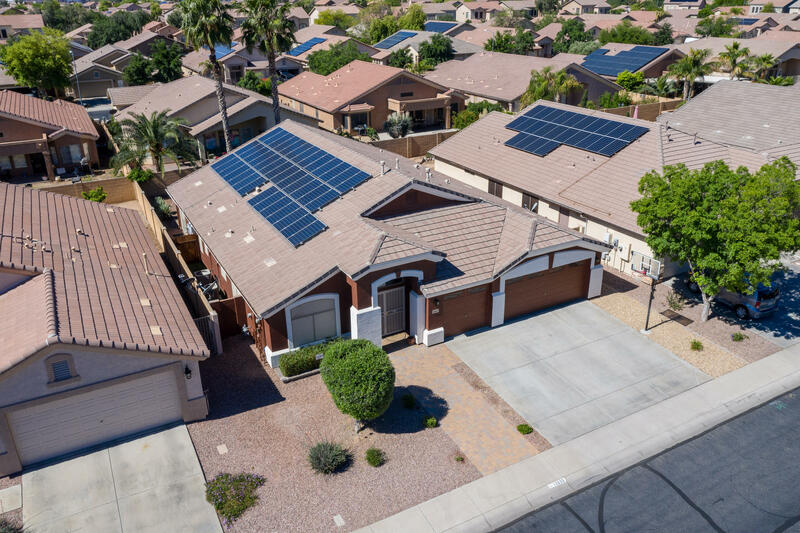 Also near bus stops, libraries, cinemas,"
"This El Mirage two-story home offers an in-ground pool and spa, stainless steel appliances, granite kitchen countertops, master bathroom with sitting vanity, a den, and a two-car garage. Upgraded features include new carpeting and fresh interior paint.Home comes with a 30-day buyback guarantee. Terms and conditions apply." 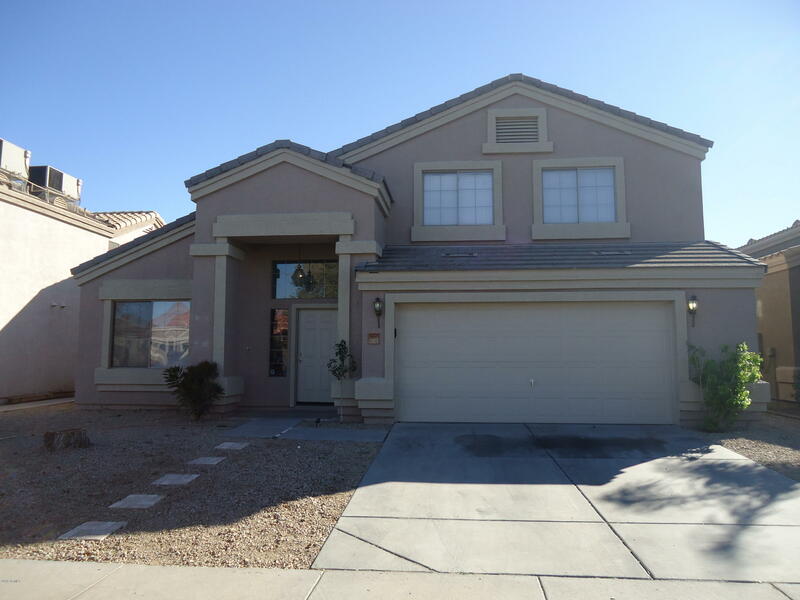 "Ready to move in home located in EL Mirage! Light & bright interior with open common areas, 4 bed, 2 bath, and large loft perfect for a game or workout area. Beautiful kitchen outfitted with granite countertops, stainless steel appliances, pantry, and high breakfast bar. The master bedroom is downstairs and offers spacious closet and full bath with tub/shower combination. Ample backyard has lots of potential for you to make it yours. Don't miss out this fabulous opportunity! 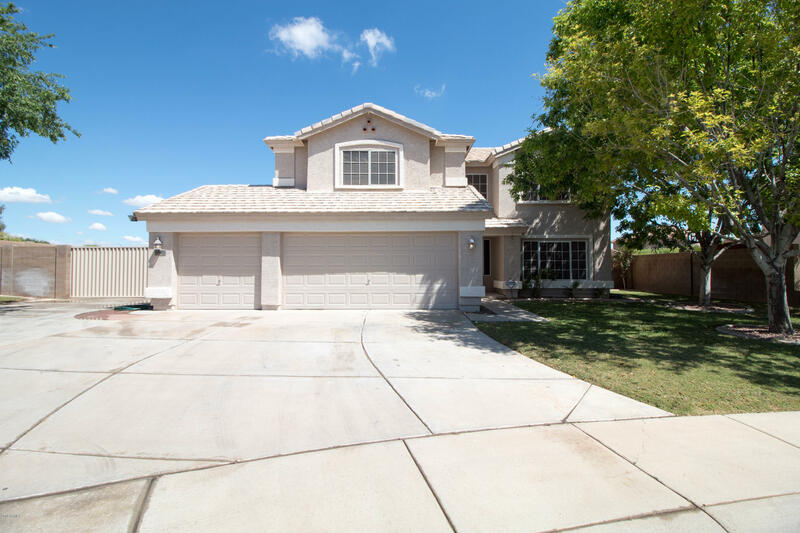 Schedule a showing b"
"''Motivated Seller Bring your offers'' Beautiful 4bed 2.5Bath freshly painted. 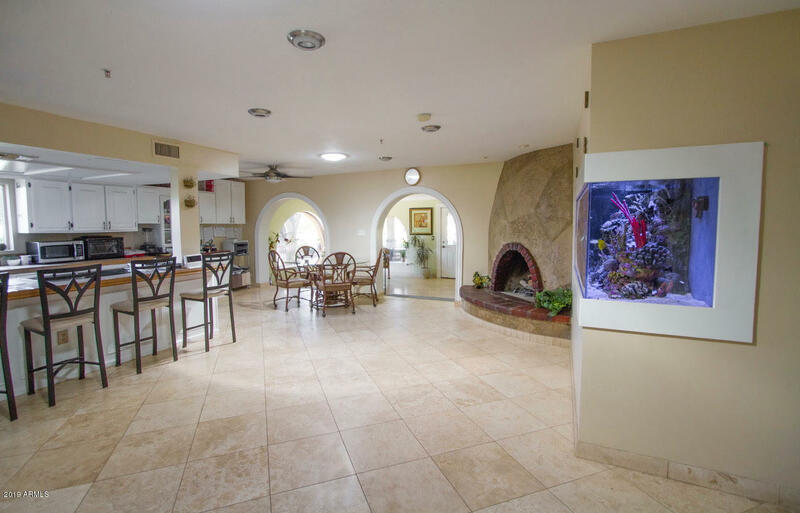 Large kitchen with plenty of cabinet space and adjoining great room. Also half bath and family room on the main floor. New carpet throughout home and it has tile in heavy traffic areas. Huge Master Bedroom along with other rooms located upstairs. This home has tile trough out the house. This house won't last long. Welcome to your new home! . Hurry, this will be gone quick!" 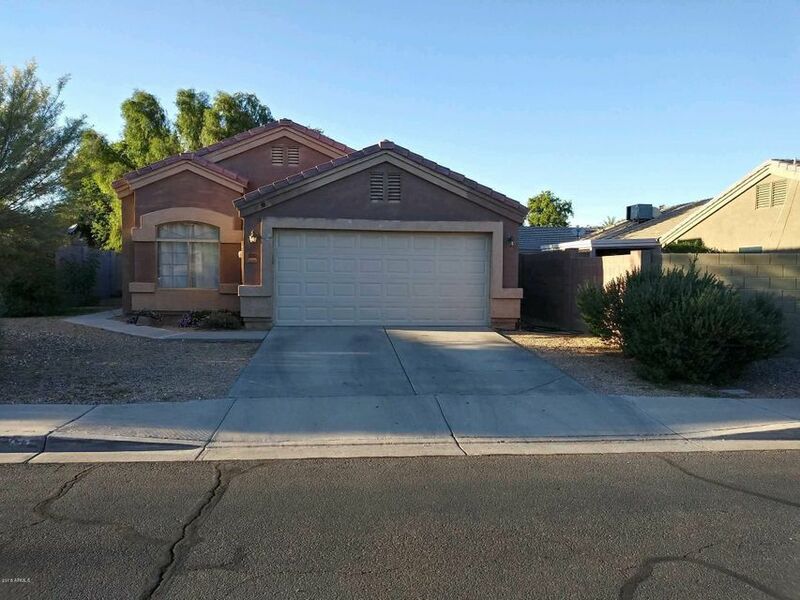 "MUST SEE Fresh paint, New Carpet, New Appliances, Updated panel doors, Granite in the Kitchen, Garage Epoxy, Loft up stairs, 4 bedrooms with master bedroom downstairs, Yard has a RV Gate and is situated as a side yard separated from the back yard. Schedule a viewing today!" "Great move in ready family home that proudly boasts 3 bedrooms, downstairs den (with doors could be used as 4th bedroom) and half bath, and a huge game room upstairs that can be split in half to have a 4th bedroom and you would still have a large game room. Freshly painted inside, new tile floors throughout, new carpets, and new windows!! Seller has replaced most of the windows in the home with new dual pane windows. Easy care landscape and so much more. 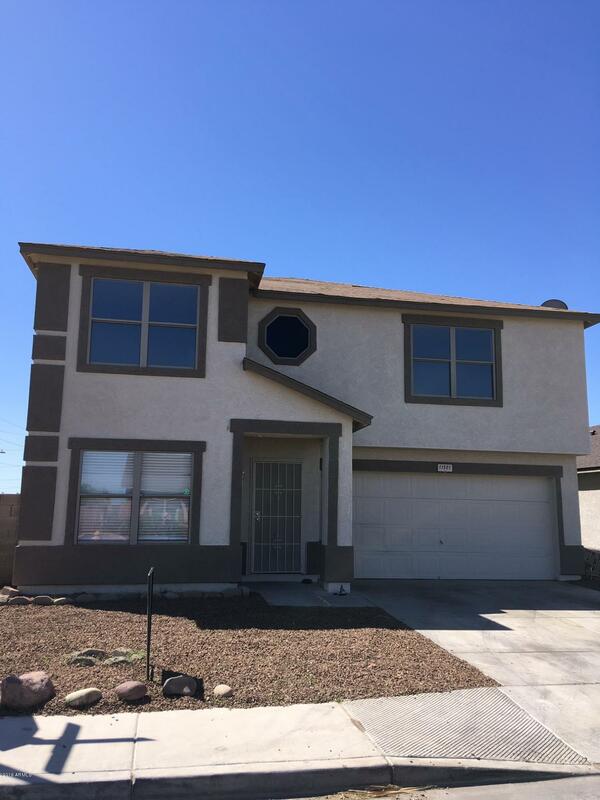 This home is ready for a new family." 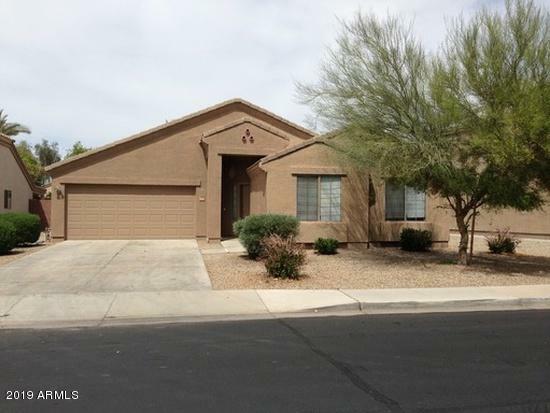 "Absolutely gorgeous move-in-ready remodeled home !! 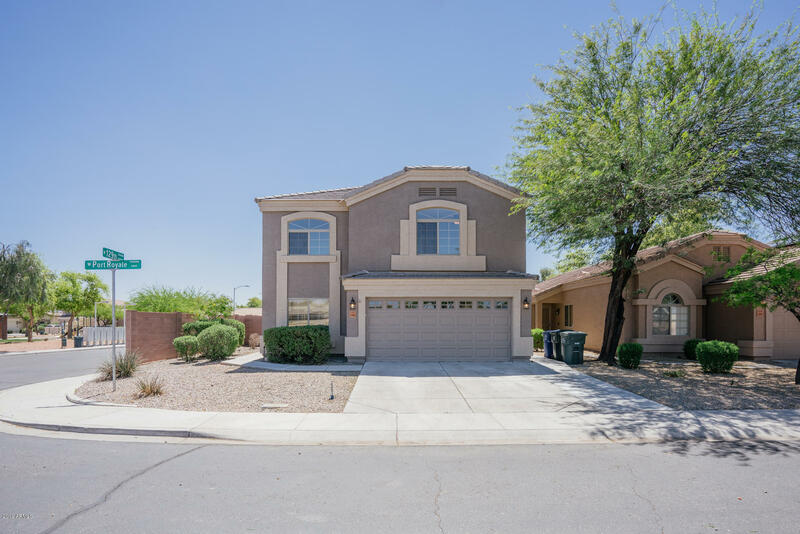 Home has beautiful white granite counter tops throughout, all kitchen appliances are new and cabinets throughout the house have been refurbished. Fresh paint with upgraded flooring and baseboards. 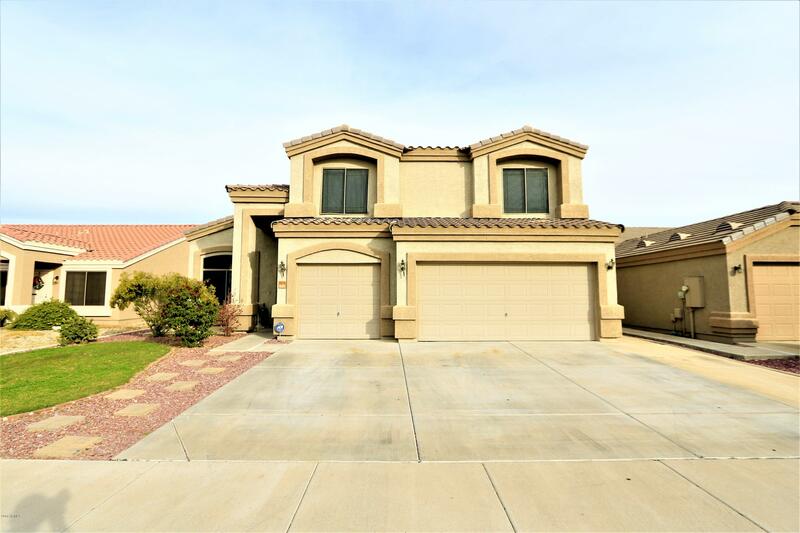 This beautiful home features 4 large bedrooms (MASTER DOWNSTAIRS! ), 2.5 baths with a huge loft and 3 bedrooms upstairs. 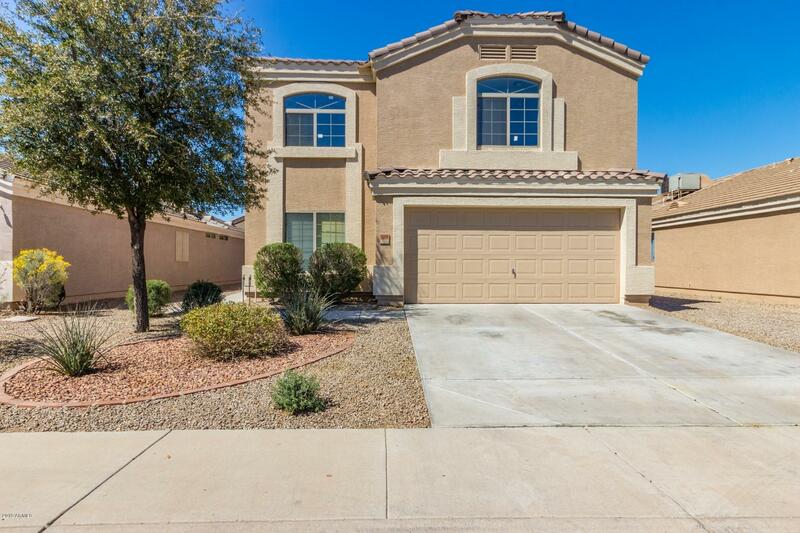 Fully landscaped backyard and community has NO HOA!! This one won't last long!!" "No HOA! I'm Beautiful inside! Move-in ready with new carpet paint and much more. Downstairs master bedroom. 3 bedrooms upstairs with large loft and full bathroom. RV gate and very large workshop in back yard. 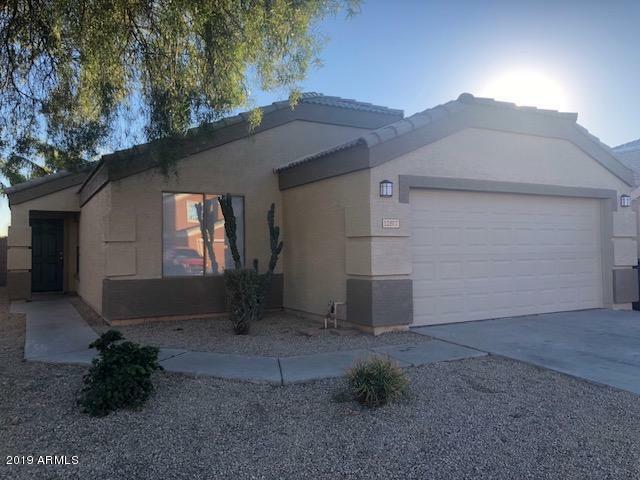 Great location close to schools, restaurants, shopping and much more..."
"The current buyer could not qualify for the loan, that makes this property a great opportunity for the next buyer. Inspections, repairs and appraisals (VA & FHA) have already been completed. Save money. Come and see this 5 bedroom house with 3 full bathrooms. This home features a beautiful kitchen with a walk-in pantry and plenty of cabinet space. You can bake delicious cookies while spending time with family around the breakfast bar! 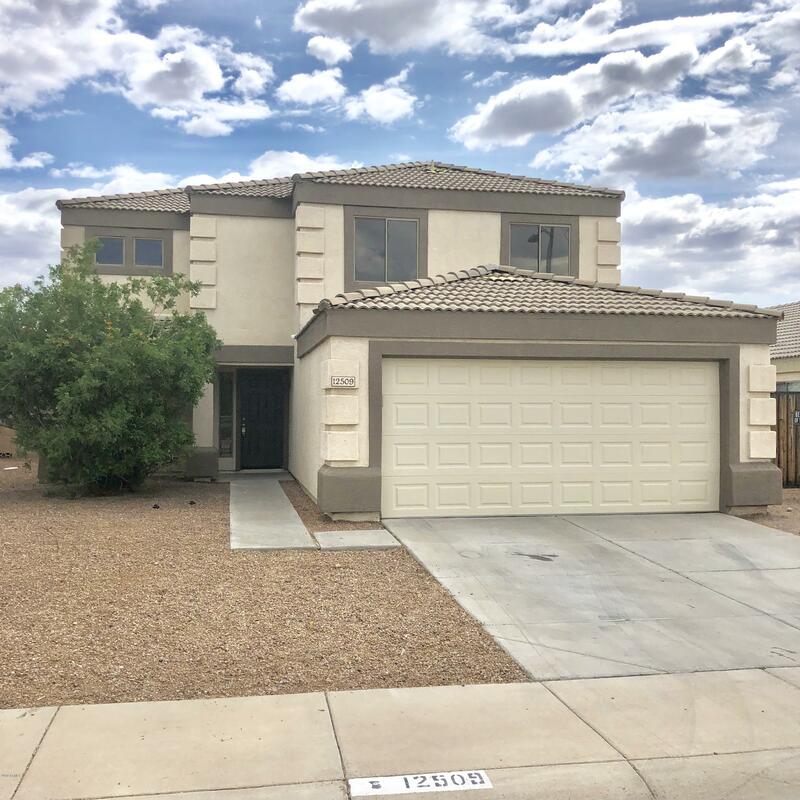 This floorplan features a spacious loft and laundry room upst"
"Built in 2002, this El Mirage two-story offers a loft, a covered patio, and a two-car garage. This home is part of the Cactus Park Estates HOA. Home comes with a 30-day buyback guarantee. Terms and conditions apply." "NO HOA! RV GATE! LARGE CORNER LOT! Great house, with a very nice floor plan. It has a large living room and kitchen. House offers 4 bedrooms, 2.5 baths, and a 2 car garage. Original owner, who has taken well care of this house. Property is located close to schools and shopping." "No HOA! This beautiful move-in ready home sits on a large cornet lot. Open floor plan with kitchen island and lots of space for family including loft. Huge mater bedroom with split shower & tub, and dual sinks. All new carpet upstairs. 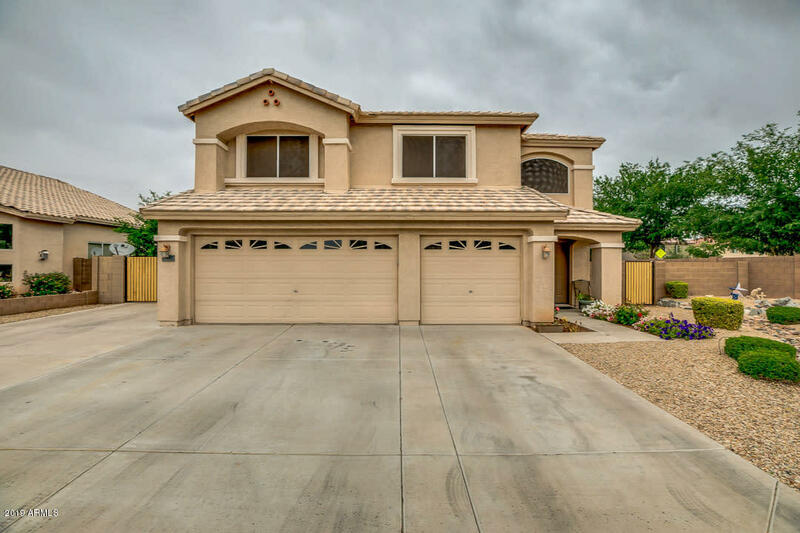 Located close to Cardinal stadium, Glendale Arena, and Pueblo Golf Course." "NEWLY PAINTED!! Inside and outside!! Refurbished throughout!! NO HOA!!" 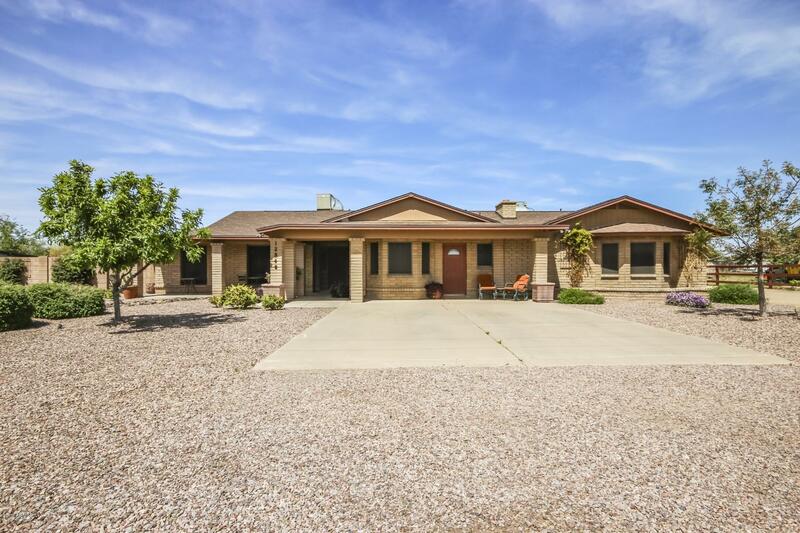 "Sharp 3 bedroom 2 bath home with great room located in desirable Rancho El Mirage. Spacious open concept floor plan with vaulted ceilings and plenty of windows, eat in kitchen with center island has lots of cabinet and counter space. Large pantry and laundry room. 18 inch tile in great room and halls. This rare split floor plan, master suite with huge walk in closet and garden bathtub is seldom available. Come check out your new house today while you still can!!!" "Beautiful, complete top to bottom remodel. Designer selected finishes with an open concept & split floor plan make this home truly a must see. Your buyer will not be disappointed." 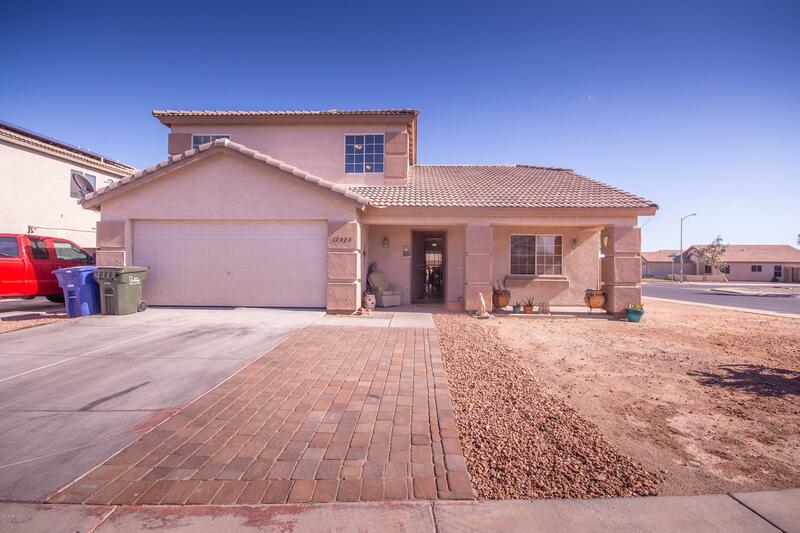 "Great 4 bedroom 2 bath Split floor plan in Rancho El Mirage. 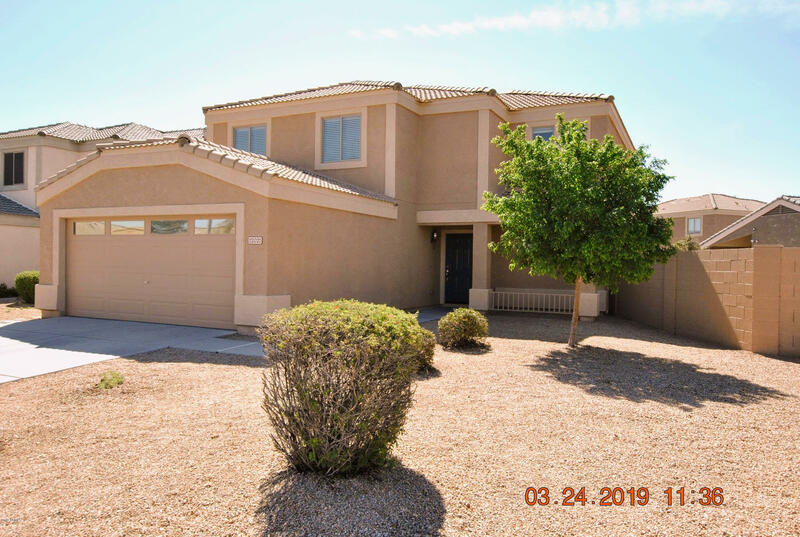 Vaulted ceilings, Tiles and lots of cabinet space, pantry, flat top stove, breakfast bar, indoor laundry, spacious master bedroom, walk in closet, covered patio with a Very private backyard...no two story neighbors to ''look in'' on you." "This home features a split floor plan, with a spacious master, large walk-in closet, slate floors in common areas, and wood lament in all bedrooms. The kitchen cabinets were redone in 2017, all new interior paint throughout and large laundry room includes front loader washer and dryer with ample storage in pantry area. The backyard is a perfect place to entertain or cool off after a summer day, with a private swimming pool and space for all your outdoor activities. Come see this one today! Buye"
"You'll love this spacious family home featuring 3 beds, 2.5 baths & upstairs loft in 1776 SqFt. Great room floor plan with tons of natural light & newer wood-look vinyl flooring. The eat-in kitchen features 36'' white cabinetry, gas range, built-in microwave & pantry. Sliding doors lead out to the large backyard perfect for your own personal landscape design. The master retreat & 2 additional bedrooms are located upstairs. The master has a full private bath. All bedrooms have carpet flooring & c"